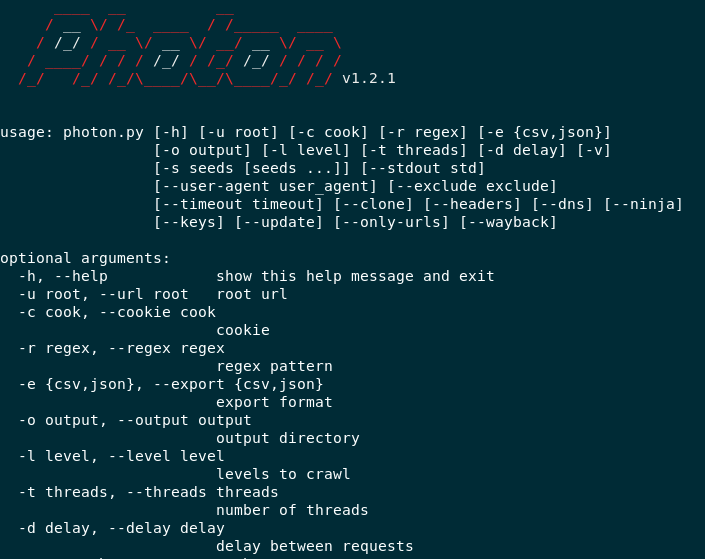 Photon is a relatively fast crawler designed for automating OSINT (Open Source Intelligence) with a simple interface and tons of customization options. It’s designed by S0md3v and is written in one of my most favorite language, Python. Photon essentially acts as a web crawler which is able to extract URLs with parameters, also able to fuzz them, Secret AUTH keys and a lot more. It’s fairly easy to install Photon all you have to do is clone the Github repository from here, install the dependencies, and run the script. Installing dependencies in Python is pretty easy, most developers place a requirements.txt file along with their package which has a list of all the dependencies with the specific version being used in the script. So time to CD into the cloned repository and install the dependencies. Here we call the python3 binary and run the module pip which is a package manager for Python through command line. Later we pass the flag -r to PIP for passing a list of requirements in it. PIP will go line by line and install all the packages required. I already have the packages installed so this is what I get, your output may differ. Now that are environment is all setup it’s time to startup Photon. If everything went well this is the output you’ll get. As you can see Photon offers a lot of options for you to play with. 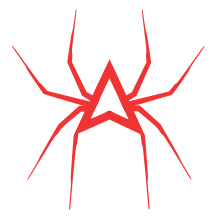 You can crawl a single website, clone the website, set link depth, specify user agents, and obviously a Lot more. We’re going to start simple and crawl a single website right now. Note - Do NOT run your scans on llamasec unless authorized to do so. The output gets stored in llamasec directory with a file called internal.txt. There isn’t much there but then again the website is quite static. Let’s try something which is more dynamic with extra set of options this time. Tesla has an open bug bounty program so we’re going to scan them for now. Here we ask Photon to scan Tesla, with a dept scan level 1 and 10 threads, also we’re specifying the output directory to sorryElon, with DNS mapping as well. My experience with Photon is a mixed one. I have used it for weeks and it’s been pretty useful for me specially with the ability to fetch URLs from the Wayback machine, which widens the scope massively. The only issues I have with the tool are minor ones, such as the output in internals.txt isn’t UTF-8 encoded, it could be a Python3 thing but it still bothers me. Over all I would give it a solid 3 out of 5 bunnies.